On February 14, a 19-year-old boy opened fire on Marjory Stoneman Douglas High School in Parkland, Florida. Wielding an AR-15 rifle, he slaughtered 17 students and faculty members before dismissal, making this the deadliest school shooting in the United States since Sandy Hook. His gun was an early make of the same model of weaponry that killed 50, and injured another 53 in 2016’s Pulse nightclub massacre. Both weapons were purchased legally. 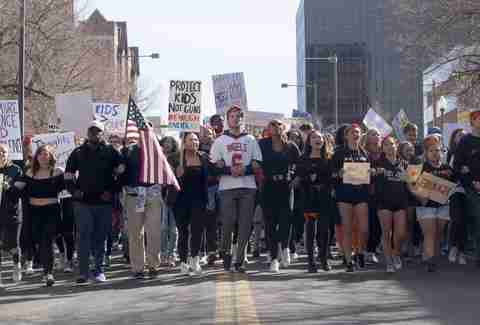 The Parkland, Florida survivors, most of whom are too young to see an R-rated film in a theater unaccompanied, to vote, or to buy a lottery ticket, are old enough to create a mass movement. 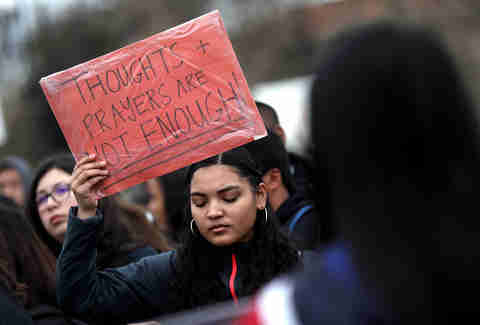 The March for Our Lives will kick off March 24 in Washington, DC, where thousands are expected to take to the streets and demand stricter gun control legislation. The call has reverberated throughout the country. More than 700 satellite marches have been organized in support of the cause -- including one in New York City. Here is everything you need to know to take action and join the movement on March 24 in NYC. The march will begin on the Upper West Side at Central Park’s 72nd Street entrance. The organizers have asked participants to arrive at 10am in preparation for a short rally. The rally’s speakers, a series of students each of whom has personally survived an instance of gun violence, will begin promptly at 11am. After departing from 72nd Street and Central Park West, the march will head downtown along the park before turning south once more at 6th avenue and ultimately dispersing at 6th Avenue and 43rd Street. Disabled participants and their families are invited to enter the march at 61st Street and Broadway, where they can take part safely. As with the Women’s March in January, some streets will be closed to accommodate protesters (which means surge prices for Uber and Lyft and traffic jams if you're driving). The subway will be your best bet. Take the B, C, 1, 2, or 3 trains to 72nd Street, a few blocks from the event’s starting line. Expect temperatures in the high 40s/low 50s. Wear a jacket, pack sunglasses, and be wary of large bags. Like with the subway, crowded spaces and backpacks are not a favorable combination. Make yourself a sign. Find some powerful ideas here. Bring along a guide to your protesting rights in NYC. You never know when it may come in handy. Pack yourself a snack. The procession will be slow-moving and difficult to exit, no matter how hangry you are. And most importantly, bring the photo-taking apparatus of your choice. Social media helped this movement take flight, so keep it aloft with your own documentation. Tweet or Instagram with the #MarchForOurLives hashtag to keep the folks at home updated. Be sure to follow along if you can’t make it out. March to feel solidarity with the countless New Yorkers who are equally tired of the repeated instances of preventable tragedy. The intention here is simple: to bring a gun control bill before Congress immediately. The movement aims to push our federal government to make this a priority -- there should be no more lives lost to armed attacks when it is within our power to prevent them. 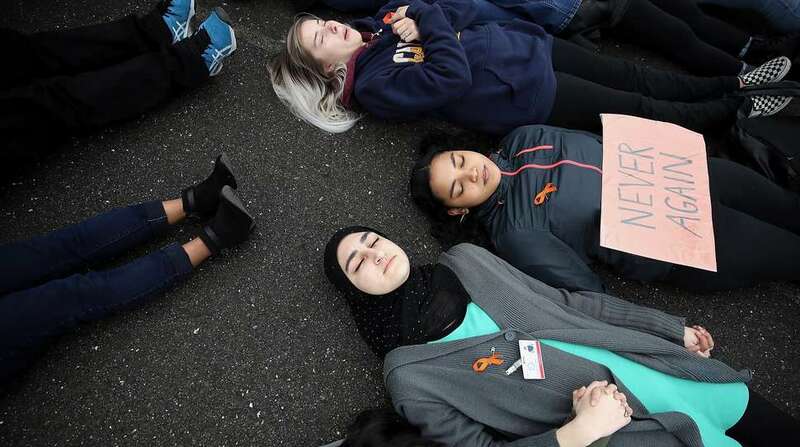 Your work to put a stop to gun violence in the US doesn’t have to end with the march. 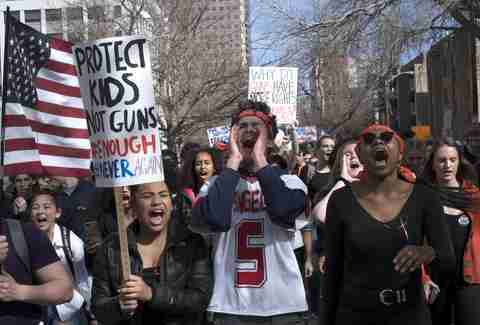 You can make a donation to the March for Our Lives action fund, or sign this petition in support of a federal ban on the sale of assault weapons like those used in the massacres in Las Vegas, Orlando, Sandy Hook, and Parkland. Make sure you’re registered to vote in your state. Your voice is essential to elect and embolden lawmakers who are taking a stand against gun violence. HeadCount, an organization that registers voters in public spaces all over the country, will offer protestors the opportunity to register before the march begins. If you’re already registered, volunteer with HeadCount to help get everyone else on board. Contact your New York representatives and senators, and make your opinions heard. Check the New Yorkers Against Gun Violence site for helpful contact information, volunteer opportunities, and additional petitions. Keep tweeting, Instagramming, blogging, and posting to Facebook. Social media is a powerful democratic tool, and it’s already at your fingertips. Eliza Dumais will be there.